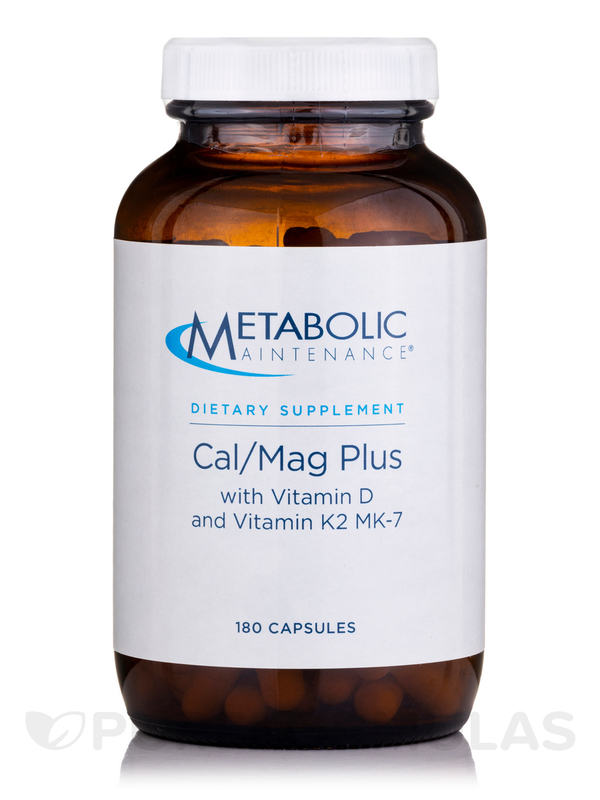 Cal/Mag Plus with Vitamin D & K-2 MenaQ7 by Metabolic Maintenance is a great supplement and a great combination for overall health. 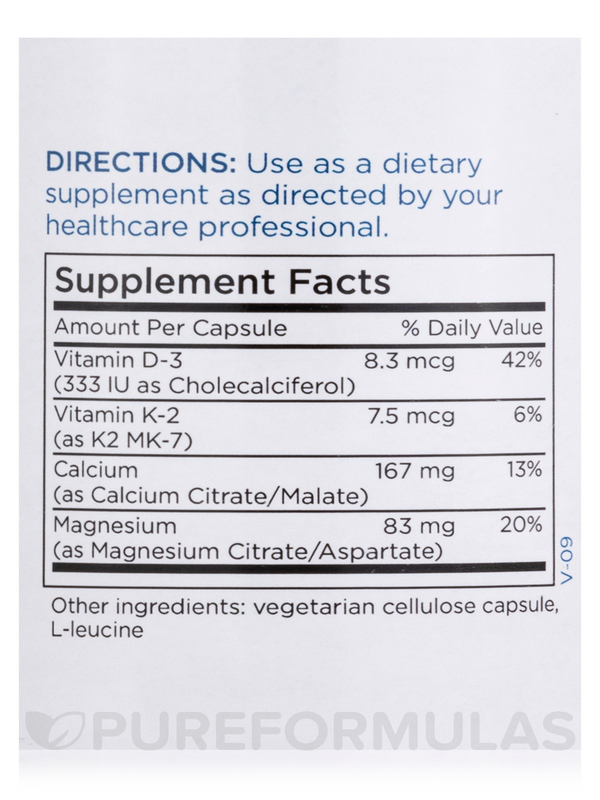 I needed a refill on my calcium and liked Cal/Mag Plus with Vitamin D & K-2 when i saw it contained both calcium, magnesium, Vitamin D & K-2. As you age‚ you naturally lose muscle mass and bone density. This can make exercise more difficult‚ and cause you to require more time for recovery after a workout. It’s a vicious cycle that can lead to cardiovascular problems‚ brittle bones‚ and chronic fatigue. The good news is that your age doesn’t have to define you. Eating right‚ staying active‚ and taking a vitamin and mineral supplement can keep your body younger for a longer period of time. Your body needs plenty of calcium and magnesium‚ since both of these minerals help ensure that your bones stay healthy and strong. You can get them by eating foods like cheese‚ yogurt‚ whole grains‚ and legumes. Unfortunately‚ it can be near impossible for some to obtain enough calcium and magnesium from dietary sources alone. Also‚ your body can lose calcium due to stress‚ as well as environmental factors like exposure to toxic chemicals. If you don’t have enough of these vital nutrients‚ a supplement that supplies you with both can help. Each bottle of Cal/Mag Plus with Vitamin D & K-2 MenaQ7® by Metabolic Maintenance contains 180 capsules. 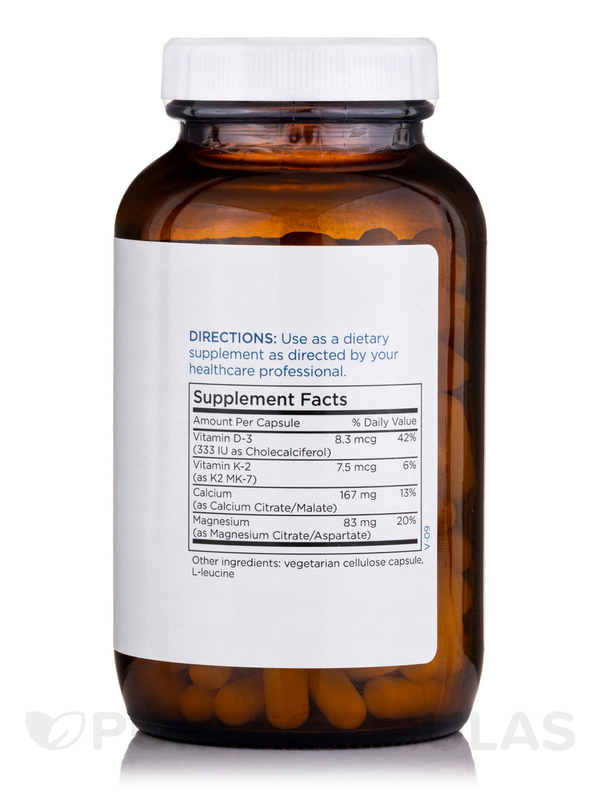 Take this supplement as directed by your doctor. 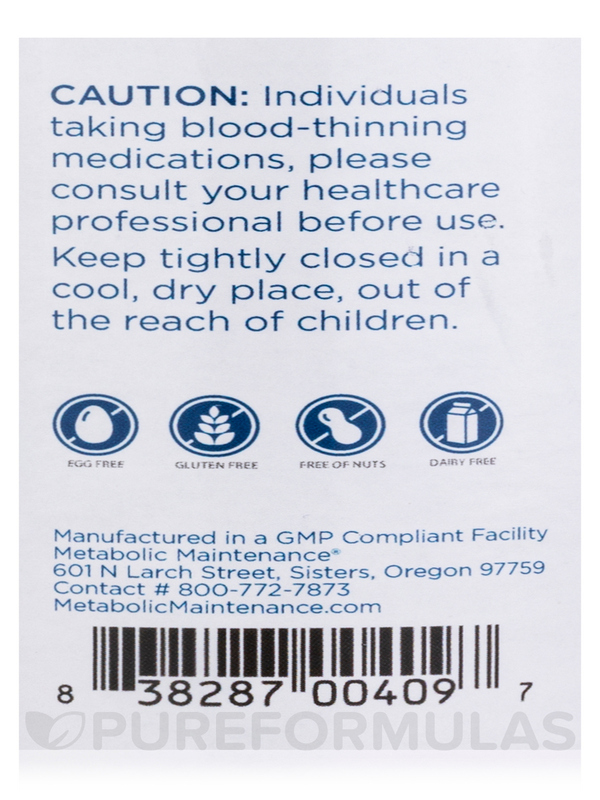 Cal/Mag Plus with Vitamin D & K-2 MenaQ7 is a great product. Good company - quick professional service.